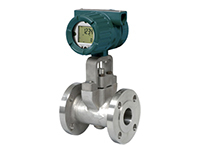 Yokogawa has more than 100 years experience in the development, design, and manufacture of various flow meter technologies. With many industry firsts, Yokogawa continues to lead innovation in flow measurment. What Technology is best for your process?